I am going to do this track-by-track countdown to the release, on February 13, 2014, the day prior to Valentine’s Day, of my book in the estimable 33 1/3 series. It is a love letter to Aphex Twin’s album Selected Ambient Works Volume II, which will mark its 20th anniversary this year, less than a month after my book’s publication. More on my Aphex Twin book at amazon.com and Bloomsbury.com. The plan is to do this countdown in the reverse order, from last track to first. For reference, an early draft of the introduction is online, as is the book’s seven-chapter table of contents. The book’s publisher posted an interview with me when I was midway through the writing process. There is some irony to doing this countdown since the book is already shipping to folks who pre-ordered it via an online retailer such as Amazon, but the official date stands, and that’s the target — the end date — of this countdown, February 13. And for what it’s worth, while the physical copies are mailing now from retailers, the Kindle version won’t turn on until February 13. Still, the digital version costs less. As I’ve noted on Twitter, this track-a-day approach is exactly the opposite of the book’s approach, which is a collection of interrelated, reporting-based essays. As I mention in the book, the track sounds like nothing so much as how one might recall the theme song to the X-Files, by composer Mark Snow, if one had not heard it in a while. That TV show debuted less than a year before the album’s release, and was the leading pop-culture purveyor of alien life during its time, before science fiction gained the ubiquity it has in the entertainment industry today. That’s already quoting more from the book than I’ve intended to in these track rundowns, but this is a track I go into in more depth than some others in the book. Suffice to say, its dub minimalism brings to mind both colonial source material and the work of Steve Reich. More on my Aphex Twin Selected Ambient Works Volume II book at amazon.com and Bloomsbury.com. 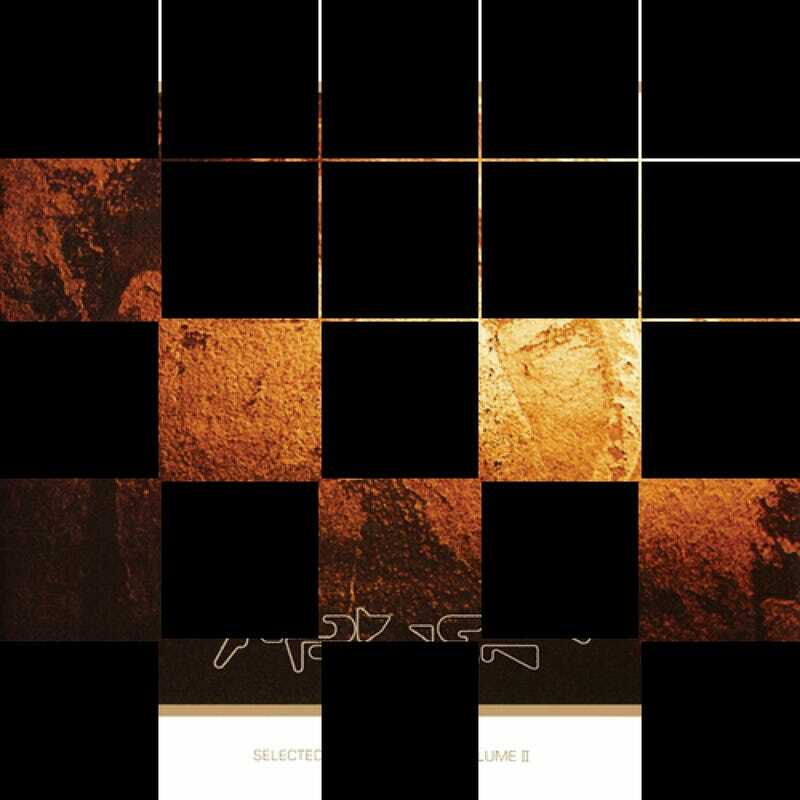 Thanks to boondesign.com for the sequential grid treatment of the album cover.